I always tell my students this…and some may even believe it – but one reason I love teaching in this digital age is that being a teacher is less about expertise as it is about facilitating learning…and that includes my own learning. So I tell my students that I learn as much from them as they do from me. 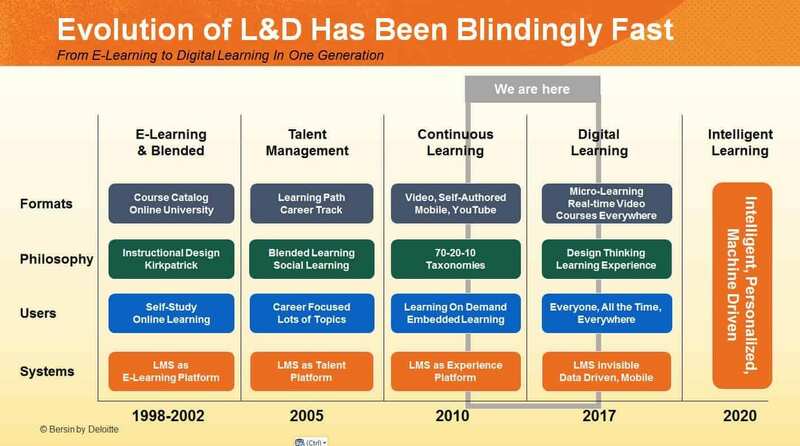 The article – The Disruption of Digital Learning: Ten Things We Have Learned – is by Josh Bersin, a global research analyst. His audience is corporate learning and development (L&D) professionals (and I have a few of those in my EDU-6323 class), HR professionals, and business leaders. Yet, the disruptions he discusses are also impacting higher education…and to a lesser extent, K12 education. His context – digital learning is a way of learning, not a type of learning. That resonates with me. I have never liked the differentiation too many in education try to do between face-to-face instruction and digital instruction. With the growth of blended learning, that dichotomy just does not make sense. Bersin noted how corporate training had evolved over the past two decades. 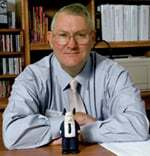 Having helped the University of Nebraska develop its first online course, then becoming the Director of eLearning at Gwinnett Technical College, and a decade as a digital learning specialist at VCU’s Center for Teaching Excellent and Northeastern University’s Center for the Advancement of Teaching and Learning through Research, I have watched a similar “blindingly fast” evolution in higher education and K12 teaching. 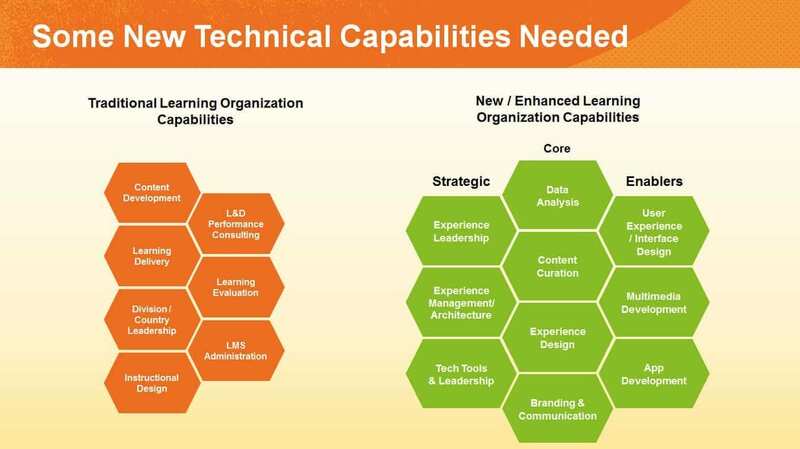 Bersin suggested that the traditional LMS is no longer the center of corporate learning. While it is still alive and well in k20 education…there are cracks. My class this week has been exploring chapters in Michelle Miller’s book Minds Online regarding attention and memory. Bersin noted that the world (i.e. the web) is awash in content, which he splits into two categories. 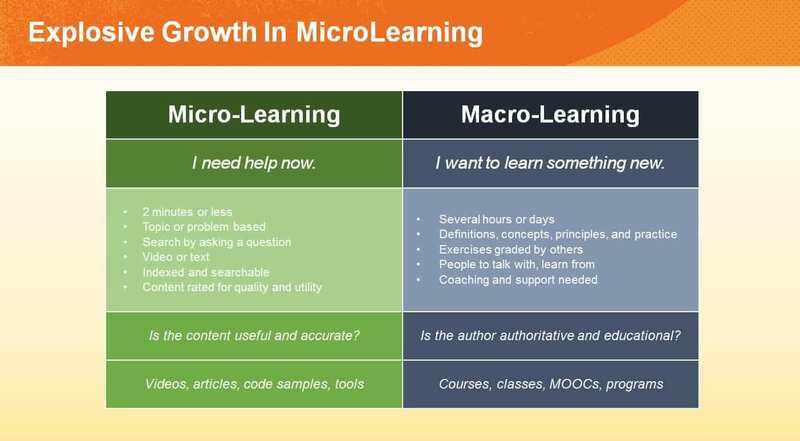 It has me thinking about my online class, and how we spend part of our week tweeting about particular prompts I provide – micro-learning – and part of the week diving deeper into topics and readings through our online discussions…which I try to move along the lines of macro-learning. You can usually tell which students use micro-learning (2 minutes or less) approaches to the deeper discussion topics…and I am not sure that I had the language before to capture that! How one sets up the learning activities – and the results students achieve – certainly involve attention and memory! 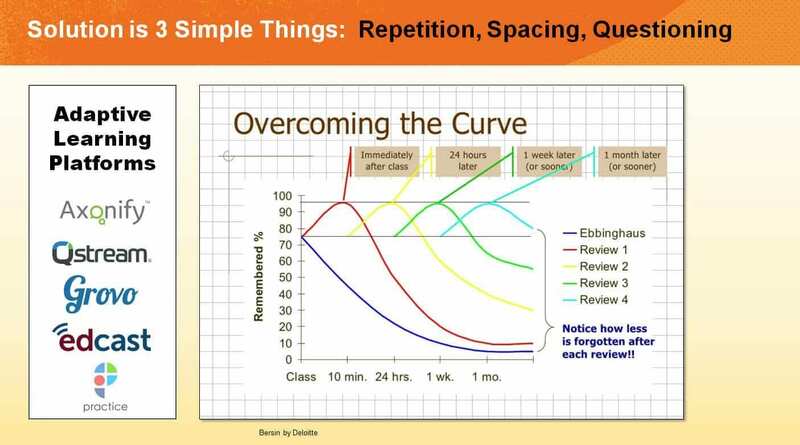 Bersin discussed spaced learning…another topic Michelle Miller raised in her book. Bersin noted adaptive learning platforms that the corporate world can use…and I hope Blackboard and Instructure are listening as well! Bersin goes into detail about the coming new learning environment…and I would suggest that those of us in faculty development read his work closely. I see some interesting parallels between Bersin’s new learning landscape and George Couros’s post last week on “Moving Beyond a ‘Growth Mindset’.” The rapid pace of change and the need for more entrepreneurial approaches will require an innovator’s mindset! His last “thing” involved new skills and capabilities. In our work with teachers and faculty, do we use terms like “experience design,” “design thinking,” the development of “student journey maps,” and much more experimental, data-driven, solutions in the flow of their academic journey? Do we think in terms of “core,” “strategic,” or “enablers”? If not, should we start … and start with ourselves? George noted in his post that he wants to be “…a person that creates opportunities for myself and for those that I serve based on what I know.” How do we in faculty development create those opportunities? Josh Bersin has given me a lot to chew on…I would be interested in your thoughts as well. I still read your posts but have never commented. Just want to say how much I admire the authenticity to the “learning to learn” topic you always bring, whether online or not. Keep it going, Britt! And thank you.